Home » About Us » News » Coupons are back! The Spring COUPON EVENT will take place at participating retail stores from Friday, March 27, 2015 until April, 26, 2015. From March 27 to April 26 coupons are available in-store at participating retailers for instant savings across a wide range of energy-efficient products including LED bulbs and power bars with integrated timers or auto-shutoff. Participating retailers include: Canadian Tire, Gateway Home Hardware, Carry All Builders Supplies Ltd., Ferris Home Hardware, The Home Depot, Walmart and Dollarama. 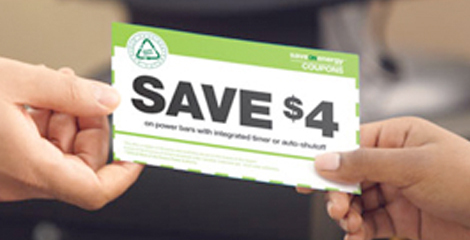 Get coupons and learn more at: northbayhydro.com/coupons!